In Part 1, I briefly summarized the history of the God of the gaps fallacy. In doing so, it became obvious the Christian God is not arbitrarily stuffed into gaps. Rather, when dialoguing about God in terms of scientific advancement, it is quite obvious that God exists outside the scientific paradigm. But it left a few more holes that ought to be addressed: namely, is God really what we’re filling the gaps with? Before delving into this argument, it’s important to revisit the origin of the fallacy at hand. The quagmire comes from an argument from ignorance. As David G. McAfee elegantly writes: This line of reasoning leads to the underlying issue with inserting God into the gaps: the scientific method is solely concerned with figuring out a naturalistic cause for everything in existence. Even the things we do not know (origin of the universe for example) can eventually become known (or at very least be, be understood by naturalistic means), so it is unfounded to assume God did it. Still, it also means that processes with great, but incomplete, scientific understanding (like germ theory and evolution) are not susceptible to the notion “God did it”. This is the idea that naturalism will eventually plug up all the holes (gaps) and completely remove the necessity of God. So the first question that should be asked is, “Can naturalism explain all of human existence?” No! And here is why. Every day I drive the same way to work as do most people. Sometimes, however, I pick a different route. Not because I was detoured, or traffic was heavy, I just wanted to experience a different view. It is random, whimsical, and spur-of-the-moment. These type of random events happen thousands of times a day by millions of people world-wide. It happens so often, it feels natural. But it is exactly the opposite of natural. It is a product of will, intuition, and free-spiritedness. These types of events are not guided by naturalism (although they are a natural process). Naturalism, at its core, says all things are explainable though natural causes, but my opinions and desires are my own—as are yours. And this is where we meet an impasse between “God did it” and naturalism can explain it. If naturalism is true, then all of life is already laid out for you. The irony here is if this (determinism) is true, then it has always been true; the natural laws influencing the evolutionary process indicates intelligent progression (simple to complex) and intelligent progression prohibits determinism. The more we see ourselves influencing our actions the less the laws of physics represent the only change inducing factor. This, like taking a scenic route, seems natural, but there is a significant difference between intelligently acting within nature and naturalism (which necessitates determinism). Why, then, are individuals like Mr. McAfee insisting that just because we do not yet understand something that it cannot be God? Why is there no room for God in science? If we can logically and intelligently recognize self-imposed limitations in the scientific process then why should we care if God operates beyond those limitations—in the gaps. The problem lies in the piece that’s already identified. If God is responsible for separating things like the mind and the soul, then it necessitates that God was first responsible for the things that ARE testable—and that undermines the scientific method. And there’s the rub. The new Atheist and agnostics have a massive stake in this game of removing God from the gaps. 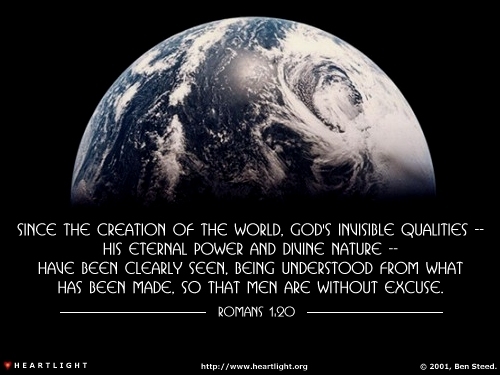 They attest God (specifically religion) should be “not simply tolerated but should be countered, criticized, and exposed by rational argument wherever its influence arises.”[i] The God of the gaps fallacy, then, follows a natural assumption that because the scientific-method has redacted God on the “known” fronts, removing Him from the “un-known” will eliminate God altogether. As if. Once we start asking ourselves “Why”, only then can we start drawing in on the metaphysical components of life, we can start to understand purpose and meaning as they relate to life. There is significantly more to understand about life than simply “how” it functions; we can understand “why” it functions and finally move away from the archaic scientific reasoning that understanding what is working must necessarily be what ought to be working. We can do better than that. THIS IS THE IDEA THAT NATURALISM WILL EVENTUALLY PLUG UP ALL THE HOLES (GAPS) AND COMPLETELY REMOVE THE NECESSITY OF GOD. That a God is necessary for the universe we observe is a positive claim. It needs to be proven, not disproven. As researched as you are, I trust I do not have to explain burden of proof. Every shred of evidence for evolution could be disproven tomorrow (making a wider “gap”), and you would be not a hair closer to proving that a God created the diversity of life. WHY, THEN, ARE INDIVIDUALS LIKE MR. MCAFEE INSISTING THAT JUST BECAUSE WE DO NOT YET UNDERSTAND SOMETHING THAT IT CANNOT BE GOD? WHY IS THERE NO ROOM FOR GOD IN SCIENCE? He does not say this!! He says God is not necessary. He says there are non-God possibilities. He does not say God is impossible. He says a lack of knowledge is not evidence for God. Parents purchasing gifts makes Santa unnecessary. It does not eliminate the possibility Santa. “God of the Gaps” is merely another name for the Argument from Ignorance fallacy. I disagree, but not because I don’t think there is a burden of proof disagreement. On the contrary, I think the evidence points to a Creator and the historic accounts of Jesus provide the “proof” regarded to substantiate my claim. While I completely understand the atheist argument, “there is no proof of God”, that by no means undermines my evidence. Rather, it brings about a point I discussed here that scientific evidence sets imposed limits (namely, science is limited to the physical and God is more than physical). For example, can you scientifically prove to me the number “1”? No. Numbers are not physical. Additionally, science does not “prove” anything. Quite the opposite. Science is a tool to disprove. Let me explain. If I saw an apple fall from a tree, I would not use science to prove the apple fell, rather I would use science to rule out causes of the fall (test the strength of the stem, test the weight or mass, maybe run age studies, etc. ), but science doesn’t set out to prove gravity, rather it disproves alternatives. Perhaps the best way I can explain it is in the use of crime scene investigation. A detective that finds a bullet casing can have the shell tested to see which gun would leave the same markings on the shell. In the process of finding a match, any gun that does not leave the same marks is disproved until only one gun is left–the murder weapon. Even if the murder weapon is suspected and provides a match, other weapons (if presented) are also tested to rule them out. Science disproves as more than it proves theories. The same is true for creation. Many theories of origins are available without God, however they all have problems. The oscillating universe, for example, neglects the inefficiency of the universe. Most numbers suggest if the universe expands to critical mass and results in a ‘Big Crunch’ the resulting expansion would be significantly less each time thus disproving the idea the universe continues forever. (Note: out of respect for your last reply I left out anything that would require an origin debate so as not to invoke the ontological argument.). As for your point that this post is just another name for the argument from ignorance, I addressed that in the post. I did not set out to explain what science does not yet know (from ignorance) rather to accent what science cannot know. Roger, you didn’t address my main point that you fundamentally misrepresented McAfee’s quote. I DISAGREE, BUT NOT BECAUSE I DON’T THINK THERE IS A BURDEN OF PROOF DISAGREEMENT. ON THE CONTRARY, I THINK THE EVIDENCE POINTS TO A CREATOR AND THE HISTORIC ACCOUNTS OF JESUS PROVIDE THE “PROOF” REGARDED TO SUBSTANTIATE MY CLAIM. You agree that you have burden of proof, good. Our disagreement is a far, far different standard of proof. Good thing we’re not on a sequestered jury together. FOR EXAMPLE, CAN YOU SCIENTIFICALLY PROVE TO ME THE NUMBER “1”? NO. NUMBERS ARE NOT PHYSICAL. One is a descriptor. It is abstract. I don’t have to prove it, nor is it a thing. It was defined into existence. If you’re willing to say God is merely a definition and not a noun, then our common ground has increased. BUT SCIENCE DOESN’T SET OUT TO PROVE GRAVITY, RATHER IT DISPROVES ALTERNATIVES. You understand this well. Science addresses falsifiable claims. The existence of a God is not falsifiable, nor is the existence of unicorns in the universe. This is why I pointed out that McAfee didn’t claim to disprove God, only to have rendered him unnecessary to explain our universe. What falsifiable claim about God would you like to discuss? I’m not sure what you mean I missed your point. I’m writing from the stance that science has self-imposed limits (science can only investigate the physical, science can only explain what ‘is’ not what ought to be, science can only test repeatable situations, etc) and therefore there are seemingly limitless “gaps” which cannot be filled by science. Among the things we can both agree (I think) that are outsided of science are: numbers, morals, history, consciousness, love, origins and others. These are untestable, non-repeatable, and therefore outside the scope of science, but do play a part in our society. This is not to apply a strawman, God, argument, but is to acknowledge real things exist outside the scope of science and recognize our limitations. Therefore, McAfee hardly renders God unnecessary. McAfee completely negates things we know exist in support of the hope of future understanding without acknowledging the gaps I identify–hence the science of the gaps vs (my position) God is bigger than science; he not only fills the gaps but also fills the physical (explains why anything exists at all) that we cover with science. In other words, science can verify the what, but it has no interest in the why of life. In terms of this post, I point out the limits and include truths outside the limits to necessitate God (or at very least justify a God) beyond the confines of naturalism. You make a valid point that God is likely not falsifiable. However, just because something is not falsifiable does not make it false. If I said, “I took a shower yesterday”, there is no evidence for or against my statement. If you were to come to my house today, you would find the shower is dry—there is no evidence of water. Further, the curtain is being washed so you could even make the argument that the shower is dry AND there is no curtain, therefore it is unlikely I took a shower yesterday. In addition, my family was out grocery shopping and I, as a matter of humility and principle, do not keep video cameras in my bathroom. You must take me at my word and you cannot prove I am wrong. Yet, I did indeed take a shower yesterday. I’m reading through your posts. They are all really thorough and thought provoking. Can I ask, what was the big push to leave the faith? As knowledgeable as you are in the Bible, certainly you recognize a natural tendency to dismiss spiritual truths in support of the physical appeal (I mean the Israelite’s forgetting God while Moses was on the mountain after just having seen the miracles, the kings who rejected the prophets, etc.). Living out a spiritual life and leaving for new understanding must, in some way, validate the historic stories (IMO). I guess I’m just curious why the change of heart (not dismissing, sincerely asking respectfully). Thanks for sharing and engaging. I truly learn a lot from people like you willing to take time to point out alternative views.